Get ready A-town! 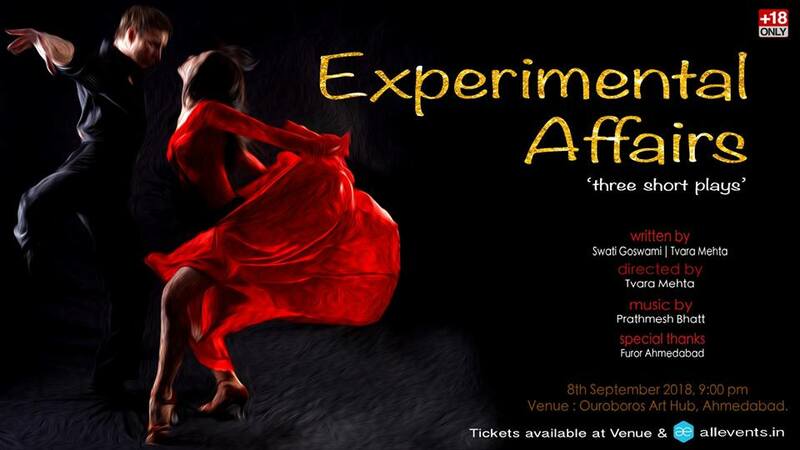 We are bringing a new series of three short plays called the ‘Experimental Affairs’ on 8th of September! We have collaborated with Furor – Home of Salsa in Ahmedabad for one of the plays which is a musical and is based on social dancing! This is our effort to bring something new to the theatre scene here. This has been a wonderful project so far as I have been meeting people at the socials, interviewing them and also learning to dance. I was fascinated by social dancing which inspired me to write this story. Love the dance scene here so we have documented Friday salsa socials by Furor in this video. Arjun Vankani is my partner in crime & dance for this one. This is method acting, no kidding We have been taking classes and attending all socials. My talented friend Swati Goswami has co-written the play with me and we have an amazing team of actors like Pratik Nanda And the music is by the brilliant Prathmesh Bhatt.